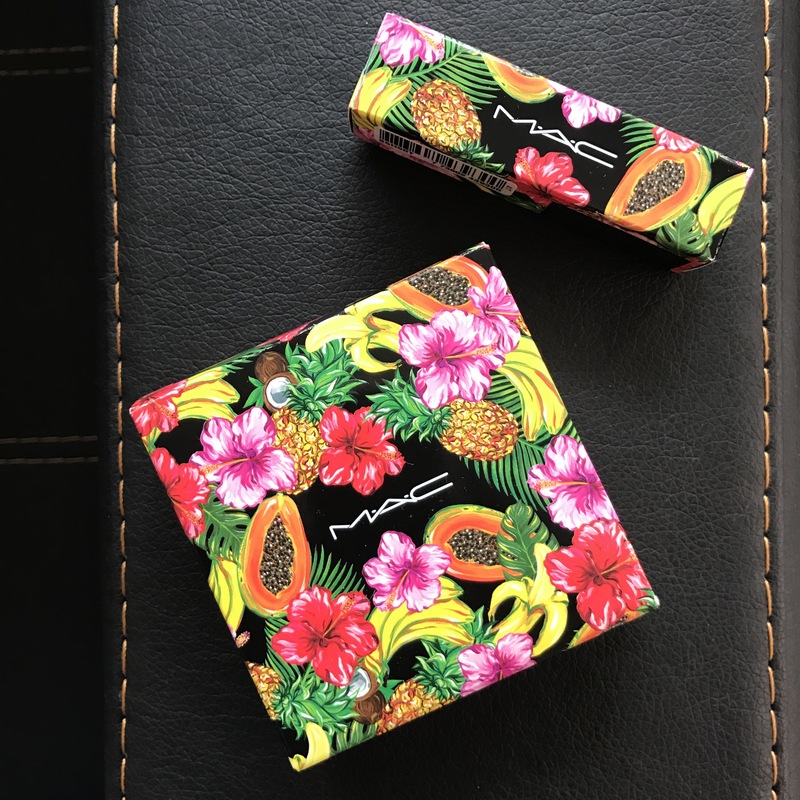 I hardly miss MAC’s summer collections because I think their packaging is the best every year! 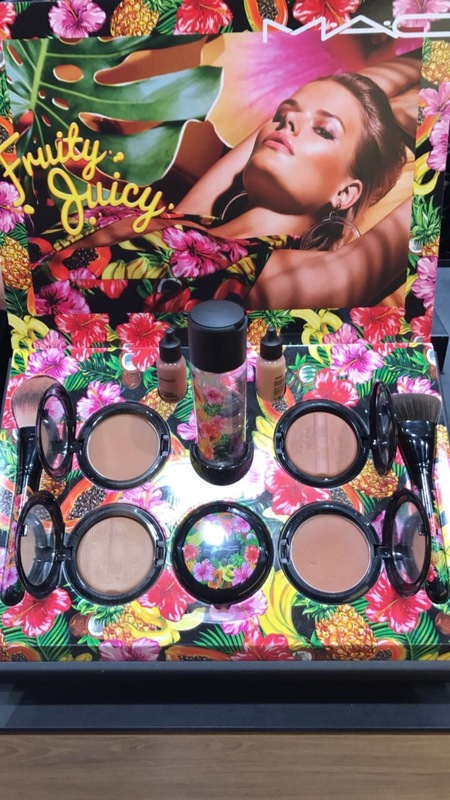 (I wasn’t very pleased with last year’s collection though) This time around it’s all about the tropics! The packaging: Is a commotion of fruits! It’s fruits, flowers and more fruits! 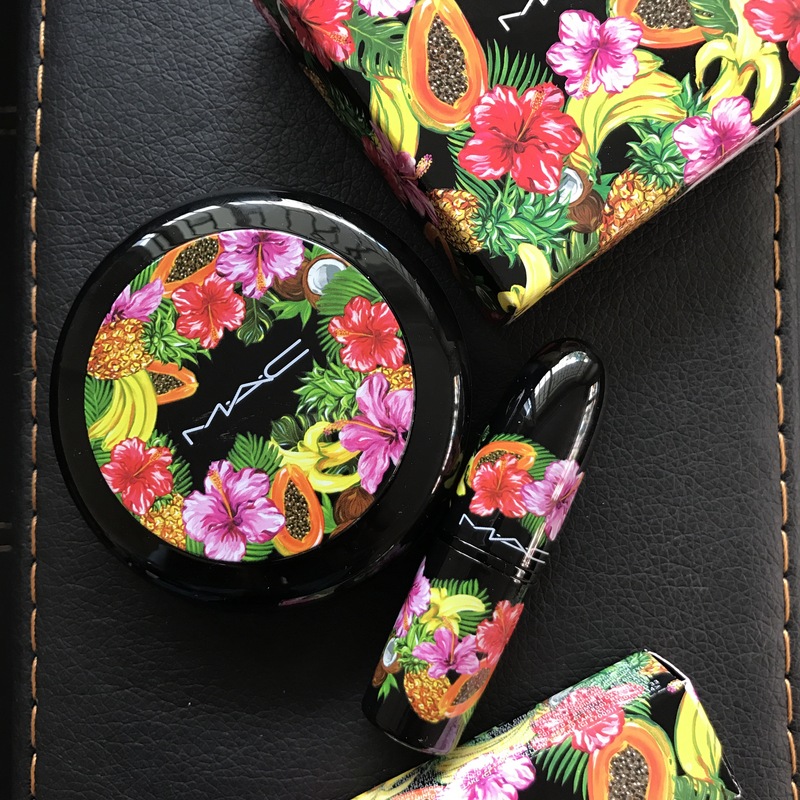 The outside box is so beautiful I’m having a hard time throwing them (I normally keep them with me for a few weeks then as my makeup collection keeps growing I end up throwing them to save some space) The product itself has the same array of fruits and flowers printed too, which is exactly what we all want from LE products! 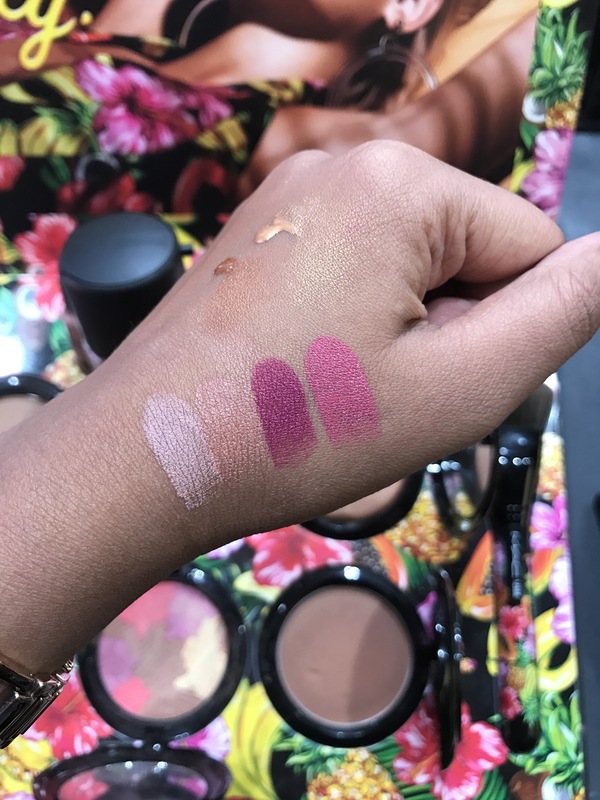 Out of the 4 gorgeous lipsticks, I picked the purplish shade “Si, si, me” because it’s quite unique and I don’t already have this colour with me. It’s a satin finish that glided on your lips so beautifully. 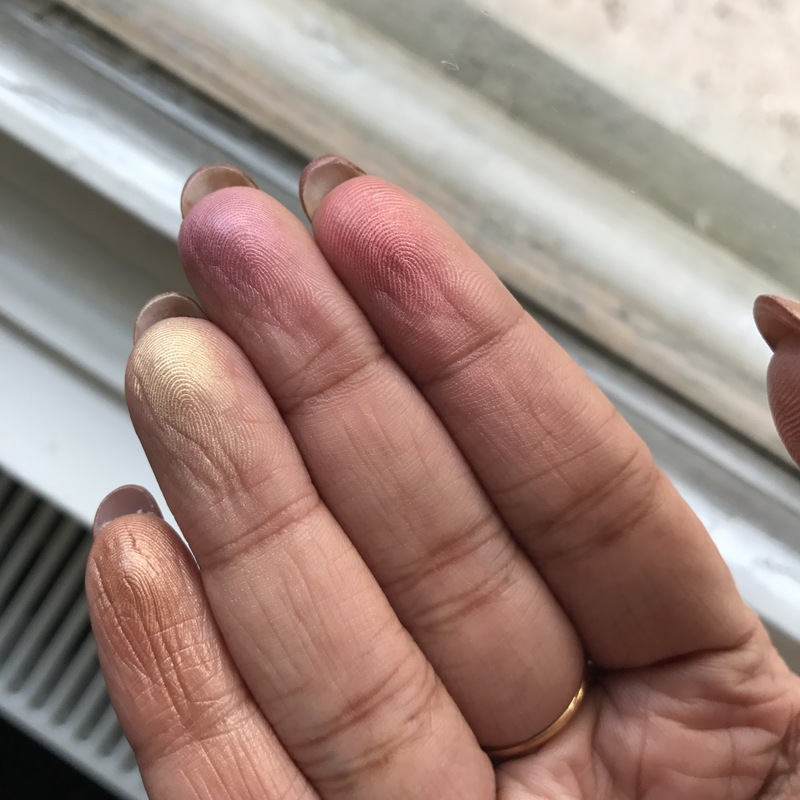 The formula is the same you get from all satin lipsticks from MAC. 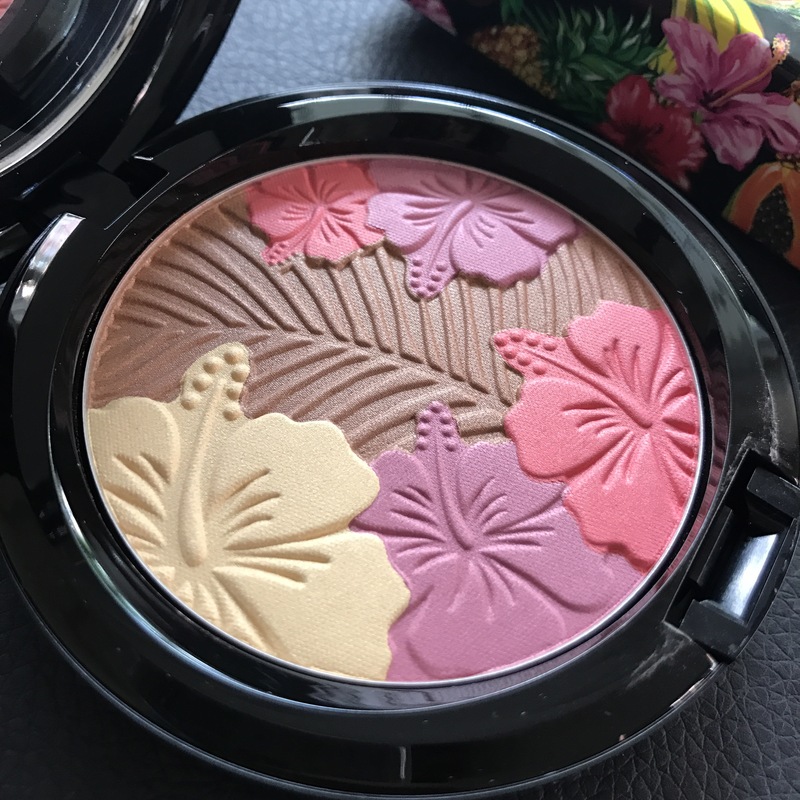 Is this a blush, bronzer or a highlighter? You can use it for all I think. 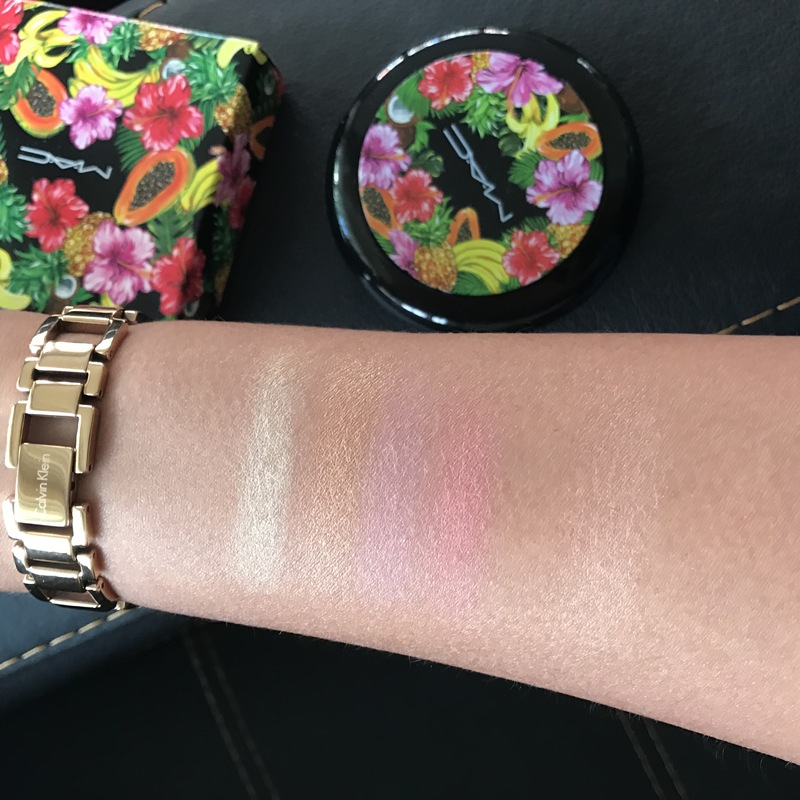 I dont need another bronzer or a blush (or highlighter) but it was tooo darn cute to resist! You can use a small brush apply the colours individually as well as all mixed together. If you’re beginning to collect makeup, this is a gorgeous collection inside out. Even if you’re in two minds, do check them out because I know these are gonna sell out quickly! I got my picks from Capacity Mall, Bakirkoy. Hope this review helps you! You are right! I have never seen packaging this detailed and beautiful from any other brand! Unfortunately, I have not! I’ve seen people sharing their unboxings in past years but didn’t even know about this collection, but I’m glad to be in the know now!